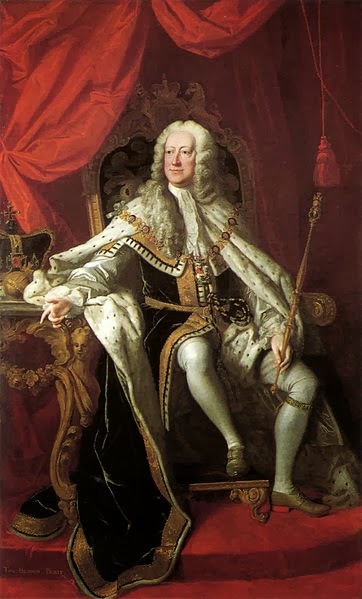 Today is a somewhat subdued day in the salon as we mark the anniversary of the death of King George II. My grandmother Gilflurt has oft told a tale of two of this particular monarch but none are really suitable for sharing with our guests, as she can get a little ribald once she's got a gin inside her. Still, it seemed only right the mark the passing of a this long-serving, not always popular, monarch! In the 33rd year of his reign, the once-lively king had slowed considerably. He had retired from the active political life he had once lived, even his famously hot-temper had perhaps quelled just a little and despite his scandalous love life, more than two decades after the death of his wife, he still mourned her passing. Now in the later years of his life, George's health was failing and he was frustrated by the partial loss of his sign and hearing, though he remained intellectually vibrant. By the age of 76, George had quite naturally become a creature of habit and on the morning of his death he left his bed in Kensington Palace at six o'clock as was his routine, seeing in the day with his usual cup of chocolate. Suitably refreshed, he retired to perform his toilet and it was then that his valet heard a noise that brought him running to his master's aid. The king had fallen and was prone on the floor, barely alive. 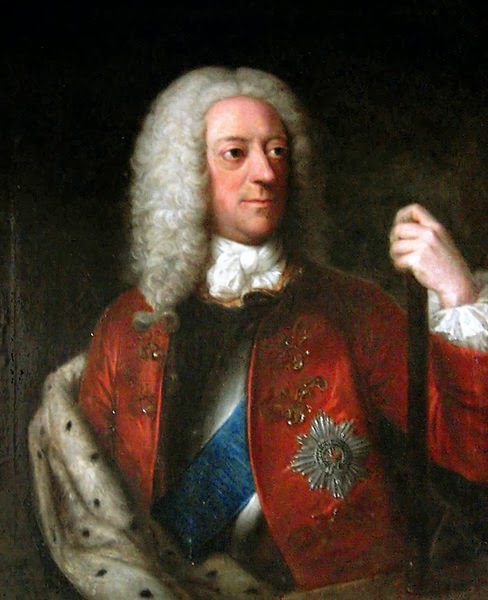 As George was carried to bed and settled as well as he could be, Princess Amelia was summoned to her ailing father's side but by the time the princess arrived at Kensington Palace, King George II was dead. 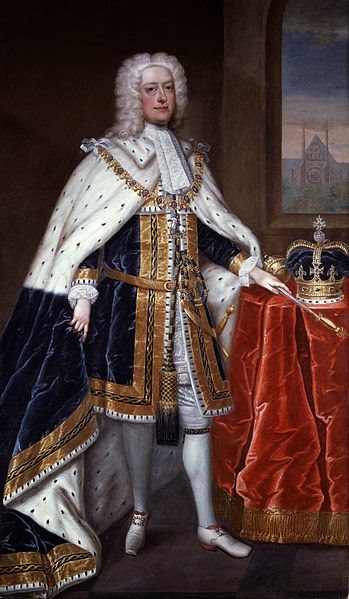 George's physician, Frank Nicholls, made preparations to embalm the late monarch and found that the cause of death had been an aortic dissection. According to his wishes, George was buried beside his beloved wife, Caroline of Ansbach, at Westminster Abbey on 11th November 1760. As was his wish, the sides of their coffins were removed to allow their bodies to rest together. Goodness gracious me! An aortic what??? Well those Georges certainly keep us all on our toes. I find them pretty confusing but what an unceremonious end to a grand life! I am musing on a little series of posts on the various Georges! Did he cut his throat when he fell? It's a tear in the wall of the aorta; a painful way to go, by all accounts. The moral of the tale,it is said,is DON'T strain too much when in the closet.